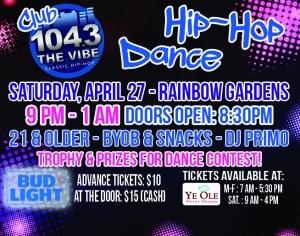 Don’t miss Club 104 3 The Vibe Hip Hop Dance, sponsored by Bud Light! With DJ Primo! 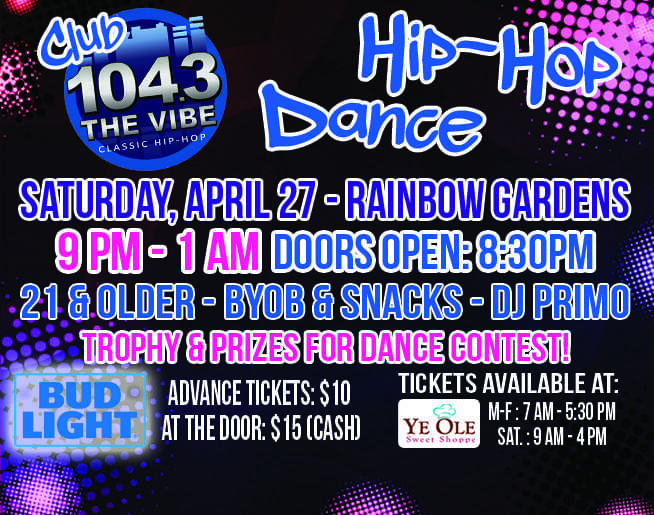 Trophy & Prizes for the Dance Contest – sponsored by Cobb’s Thrift Shop, Valley Tire Pros and Whole Foods Co-op! BYOB & Snacks! You must be 21! Tickets will be $15 cash at the Door!